Who can help you in this prime Fantasy time? The schedule is again a key element. Derrick Rose (elbow) and Jeff Teague (foot) are out for the remainder of the season, so Tyus Jones should start from here on out. You shouldn't expect volume scoring from Jones -- he's averaging 9.8 shots across the past four games -- but his assist and steal upside is worth investing in. In the past four games, Jones has played 27 or more minutes, and when looking at the 14 games this season where he's seen at least that much run, he's averaging 7.3 assists and 2.0 steals. A four-game week makes it enticing to start Schroder, who has been solid in a sixth-man role for OKC this season. But he's struggled shooting the ball over the past 14 days, hitting just 37.5 percent of his 14.9 attempts per game. He's also racked up just one steal and no blocks across the past nine games, which drags him down the Fantasy leaderboards. Overall, Schroder has been outside of the top-230 during this stretch, making him unplayable in almost every league. Smart has vaulted up the Fantasy leaderboards out of nowhere, ranking as a top-30 player across the past 14 days. He's been shooting efficiently, hitting 54.8 percent of his shots overall while adding 1.5 3s per game. That, plus the 2.2 steals he's averaging, have been making him a valuable commodity. It's possible his shooting cools off, but he's still been a top-90 player on the season, making him startable in most formats. It's not for lack of opportunity, but Richardson has been outside of the top-110 across the past two weeks. He's playing just over 35 minutes per night, but his shooting has fallen off a cliff, as he's making just 4.3 shots on 12.7 attempts (33.7 percent). Richardson's 4.7 rebounds, 4.3 assists and 1.3 steals are solid, and a balanced statline is part of the reason he's a top-70 player on the year. However, until he starts making his looks, he's far from an automatic start. Coach Igor Kokoskov seems content with giving the rookie all the minutes he can handle, as Bridges has played 42 and 39 minutes across the past two contests with Kelly Oubre sidelined. In that pair of games, Bridges totaled 25 points, seven assists, six rebounds, a trio of 3s and one steal. The Villanova product is a relatively low-usage player, but it's important to note that he's done enough to be the 120th-ranked Fantasy asset on the season in just 28.6 minutes per night. Per 36 minutes, Bridges averages 10.3 points, 4.0 rebounds, 2.6 assists, a combined 2.6 steals/blocks and 1.6 threes. With all the injured Timberwolves players, you'd hope Wiggins would step up when needed. But alas, that hasn't been the case. 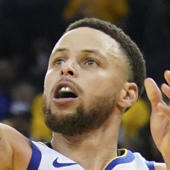 His past four performances have him outside of the top-200, as he's making just 41.2 percent of his 17.0 field-goal attempts per game, not to mention an abysmal 50.0 percent at the charity stripe on 14 total tries. Hang onto him if you're in a points league, but Fantasy owners in categorical formats shouldn't hesitate to jump ship. Morris has been playing better as of late, averaging 14.0 points, 7.8 rebounds and 1.7 assists in just under 32 minutes across the past two weeks. That's led him to be the 107th-ranked player over that span, despite shooting just 41.4 percent from the field. Considering he's shooting 45.9 percent on the year, his efficiency has room to improve, and there's a fair chance he'll be within the top-100 for Week 24. Kuzma has been in an ideal position to take over and be a high-usage player, but he's fallen short in the opportunity. He's ranked a surprisingly-low 215th across the past 14 days, shooting just 39.7 percent from the field and 56.5 percent from the charity stripe. Ultimately, his raw numbers of 15.0 points, 5.6 assists, 4.8 rebounds and 1.0 steal haven't been enough to keep him afloat. Like most players struggling with efficiency, Kuzma remains a fine option for points leagues, but it's best to explore other options in categorical formats. Coach Erik Spoelstra's preference for Adebayo over Hassan Whiteside has been obvious lately. Adebayo has seen just under 27 minutes per game across the past 14 days, and he's been a top-50 player on the back of 12.3 points, 8.6 rebounds, 3.3 assists and a combined 1.9 steals/blocks. The Heat have lost just two games since March 2, so it would be surprising to see coach Spoelstra change his tune heading into Week 24. Cauley-Stein on a four-game week is appealing, but his role is dissolving to make room for Harry Giles and Marvin Bagley. He hasn't taken double-digit shot attempts since March 1, and he has only two double-doubles since that time. Cauley-Stein could be worth a start in 14-team formats, but considering he's been outside of the top-140 across the past two weeks, Fantasy owners in 10- or 12-team leagues should think twice before throwing him in your starting lineup.